Zero-Carbon AC: Who Will Benefit? If you’re a brick-and-mortar store in one of the northernmost states, you may not need as much cooling as say, those in the desert or tropical climates, who can burn through energy (including refrigeration and cooling systems) as if it’s going out of style. 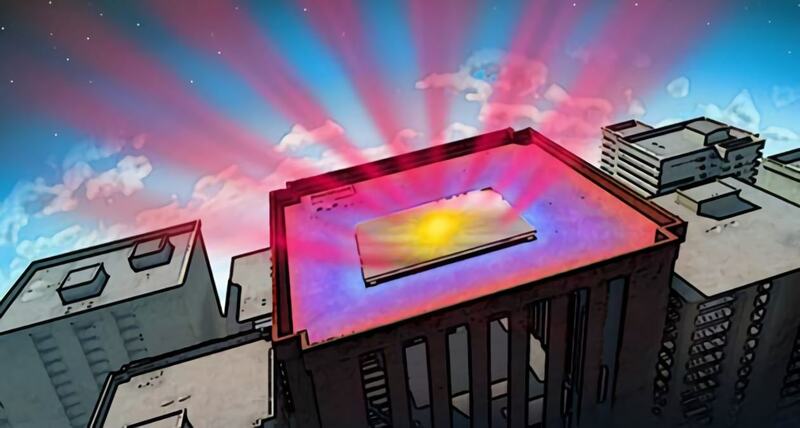 A new technology called zero-carbon air conditioning was just released that refracts heat rather than absorbing it. Why is this important? Zero-carbon AC is being heralded as a major breakthrough in climate control technologies because it doesn’t rely upon an electricity supply. This means potentially free cooling power, and the option for businesses to get air conditioning with minimal environmental harm—at a low cost. Does this technology have the potential to change the HVAC industry? What are some industries that will stand the most to gain? It is expected that a significant number of companies will want to switch over to zero-carbon AC to take advantage of free cooling technologies. This could mean new job openings for HVAC technicians who understand the mechanics of a cooling system. Welders and pipefitters will be needed to get the cold air from the source, through a building, and to the desired areas. Plumbers will be crucial to draining the condensed water. HVAC technicians might be busiest of all, because it is their job to set up the free cooling distribution systems and also conduct maintenance and repairs on units. Computer chips in close proximity to each other generate so much heat that without a proper cooling ventilation system, the silicon can get so hot that it melts. What’s more, the actual quantity of air needed to cool down rows and rows of computers humming away is quite significant—approximately 160 cubic feet per minute per kilowatt, according to TechTarget. What’s more, the air needs to be flowing at a speed of nearly thirty miles per hour to relieve the aching circuits from their heat. Data storage companies may eagerly latch onto the promises of free cooling, but it will take a lot of ductwork in order to connect the refractive cooling source up to the central air grid. In addition, all the air needs to be filtered, because particles of dust flying into a circuit board are far from ideal. Nevertheless, with annual costs of cooling far outweighing the cost of the computers themselves, zero-carbon AC will likely be a welcome change. With free cooling promising a reduction in cooling costs of up to seventy percent, the food industry is likely sit up and take notice. A research team from Colorado State University determined that it takes approximately 0.1 kilowatt hours to freeze a pound of food to 0 degrees F. With about three to five pounds of food needed each day to sustain an individual, the costs of keeping food unspoiled are astronomical. The costs of wasting food is just as bad: the average American family throws out $1,000 worth of food each year that has spoiled, resulting in some seventy tons of food that goes to a landfill instead of combatting hunger. The issue with free cooling with regards to food storage is that it may not be able to get food cold enough: at above 50 degrees F, bacteria thrive on all types of food. Storage units that cannot keep their soon-to-be-meals cooler than that benchmark will have to find ways of minimizing the impact of heating agents, like direct sunlight, power generators, and contact with nearby warm rooms. Further research and advanced technology will be needed to address this discrepancy; still, zero-carbon AC may eventually have a significant impact on the food industry. As with any air conditioning technology, technicians are needed to service and maintain the equipment. Those who want to capitalize on the number of new jobs that zero-carbon AC may present will need a technical education from a trade school. Contact TWS today to learn more about enrollment.